D’argento will next run in the $3m The Star Doncaster Mile (1600m) on Day One of The Championships. 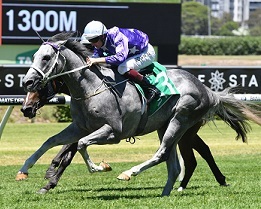 The flashy grey colt was also being considered for the Harrolds ATC Derby, having won the Group One Rosehill Guineas last start, but instead he’ll drop back from 2000m to the mile, which is a recipe Waller has used with great success in the past. Waller has won four of the past five Doncasters and two of them, Sacred Falls (2013) and Kermadec (2015) were with three-year-olds. D’argento is currently rated a $7 chance in The Doncaster with TAB, behind only Kementari at $4 and Happy Clapper at $5.